A lady, Amadi Onyekachi, who was allegedly molested by an official of Federal Special Anti-robbery Squad says she is happy with the Police “Orderly Room” trial. Onyekachi told the News Agency of Nigeria on Thursday in Ilorin that she was only disappointed that the officer denied ever meeting her until she brought the matter before the Kwara Police Command. “The officer, who molested me lied at the trial, so nothing has really changed. “On the scale of 70 percent, I think I am satisfied with the organisation of the trial and how it went. “I don’t know what the end result is going to be yet because he has lied already, so I am not sure yet if I am going to get justice,” she said. Onyekachi said she was sad because the leader of the patrol team on the day of the incident also denied any contact with her. 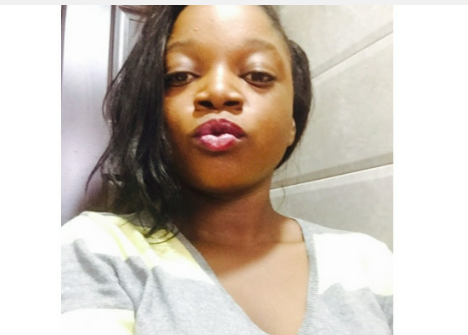 Onyekachi had recently on the social media informed the public of what she went through in the hands of some police officers, who she claimed, harassed her sexually during a stop and search operation. A representative of the International Federation of Women Lawyers, Ronke Adeyemi, who accompanied the victim to the trial, also told NAN that she was happy with the process of the trial. Adeyemi said she was impressed by the way the police had been handling the matter even before the commencement of the trial on Tuesday, Oct. 24. “The man, who presided over the trial, is quite competent and full of experience of such matter. “The man was very fair to both sides; he allowed the victim and officer to question themselves where necessary. “I am confident she will get justice because of the determination of the senior police officers in the state,” she said. Adeyemi said that what was uppermost in the mind of the victim is that elements like the one who harassed her should not be in the system anymore. “The officer, who molested her, should not be allowed to remain in the force. “People like him are dangerous and he could have done worse things that day. “For me and FIDA, we should not have such wicked fellows in the Nigeria police force again, ” Adeyemi said. NAN reports that the trial, which commenced on Tuesday, Oct. 24, has been adjourned until Tuesday, Oct. 31.